Vic Relay Champs Washup - Did the predictions come true? 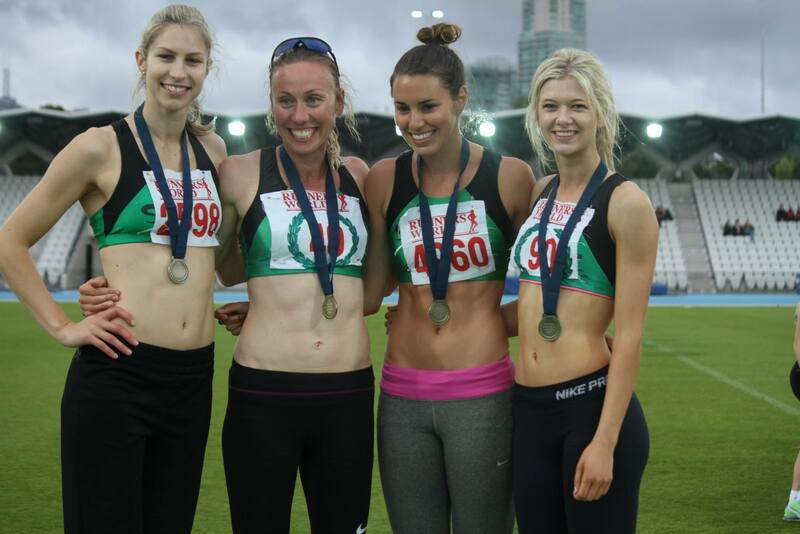 Victorian Track Relay Championships Predictions Revisited. With a huge serving of self depreciation, I say, I bet you’re all wondering how I did in my predictions for the winning times for the 2013 Victorian Track Relay Championship open events. *Keep in mind the men’s and women’s 4×400 final will be run on Zatopek night so this is a prediction for the fastest time on the 23rd Nov.
I’ll start with my magnum opus; the mens open 4x400m. So I had predicted 3:18 there, and in the 1st of 3 4×400 heats Deakin comes in a winner with 3:18.83. But that’s beginners luck, we’ll see about the next one. The gun fires and we have Old Melburnians in with a time of 3:18.48. But you can fluke 2/2, what about the 3rd heat? By now I resemble a punter at the races who’s taken all of his weekly pay and dumped it on the treble. And sure enough I’m at the sidelines cheering in Diamond Valley as they come in with the fastest time of the day which is…..3:18.06! But enough of me blowing my own (out of tune) trumpet, what about the stuff I got wrong? Not too shabby overall though I flunked the womens 4X400m being off by over 7 seconds. I forgot to factor in the unmistakably tall, lean, powerful frame of Tamsyn Manou in my calculations and she showed me up with a low 50’s 400m anchor leg in pelting rain to annihilate a 6 second deficit for a comfortable Sandringham win. What a legend, what a privilege to watch.